A Baltimore jail reportedly featuring horrible conditions, including vermin in moldy shower areas, is under the microscope once again as the American Civil Liberties Union seeks to force changes at the facility through a federal judge. In a motion filed Tuesday, the ACLU and Public Justice Center pointed to numerous deficiencies at the Baltimore City Detention Center (BCDC) while asking a federal judge to reopen a lawsuit that could force changes at the jail. The groups pointed to delayed, sometimes nonexistent, medical care at the facility, broken toilets, as well as cells overrun with mice and cockroaches, the Associated Press reported. 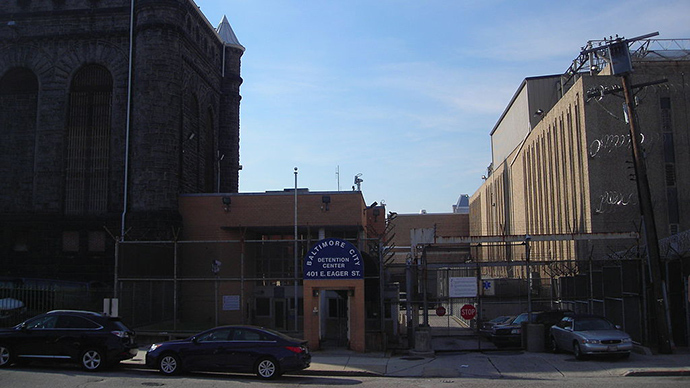 The BCDC "remains a dank and dangerous place, where detainees are confined in dirty cells infested with vermin. The showers are full of drain flies, black mold and filth," the motion said, according to the New York Times. Additionally, the temperature routinely becomes too hot, mattresses cannot be cleaned properly and some inmates resorted to cleaning their underwear in buckets. Conditions are so bad and medical care is so poor that they may be at least partly responsible for the deaths of seven inmates since 2013, the ACLU and Public Justice Center claimed. "At the Baltimore city jail, the potential for infection is unacceptably high," Elizabeth Alexander, a Washington civil rights lawyer who looked into medical records at the jail, said to the Baltimore Sun. "Broken toilets may not be fixed for weeks. Showers are often pest-infested and have black mold. Eating, sleeping and living in these conditions — particularly when health care is scant — is an extra and unconstitutional punishment for detainees." For its part, the Maryland Department of Public Safety and Correctional Services said that $58 million has been spent over the last 10 years to upgrade the facility. "I have high expectations of my staff to change the way we do business. I respectfully asked for time to address these concerns and was told no by plaintiffs' attorneys,” department secretary Stephen Moyer said in a statement, noting he has only been in office for four months. “We are committed to providing the best service to our clients and will remain committed to ensuring accepted standards are met." The large majority of the detainees at the jail, which can house about 3,000 people on any given day, are poor African-American residents who were arrested for drug-related incidents. According to the Sun, up to 70 percent of the 43,000 people that go through the jail every year have substance abuse or alcohol problems. Almost 30 percent have mental problems.